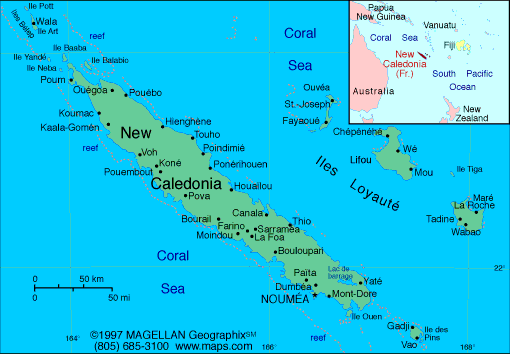 1774 James Cook, en route to New Zealand on board his ship ´Resolution', discovered a large island he named "New Caledonia" in homage to Scotland. He dropped anchor in the Bay of Balade on the North East Coast. The ship's log describes the first encounter with Melanesian inhabitants, whose ancestors migrated to the area two or three thousand years ago. 1853 Under the rule of Napoleon III, the island was officially declared French by Admiral Febvrier-Despointes. At the time, the population was estimated at 50,000 Melanesians and a few hundred Europeans. At about the same time, the discovery of large mineral resources and subsequent mining of copper, cobalt and nickel were at the origin of the New Caledonian economy. 1894 Governor Feillet's decree on immigration to the then penal colony incited migrants from Indonesia and Java. Most of these migrants worked on the newly opened mines, and settled in the country, hence the extraordinary multicultural diversity of New Caledonia. The Second World War WWII was a turning point in the history of the island. From 1943, one million Americans were posted at some point in New Caledonia. The GIs brought abundance and consumerism and as a consequence New Caledonia entered the twentieth century. Over the years... The dialogue between the different communities has evolved, and, after a difficult period, the "Matignon Accords" was signed by the MP for New Caledonia, Jacques Lafleur, Jean-Marie Tjibaou and the then French Prime Minister. Since then, New Caledonia has seen exceptional economic growth. 1998 The "Nouméa Accords" which provide for a greater autonomy in New Caledonia, were ratified by the referendum which was held on November 8th, 1998. 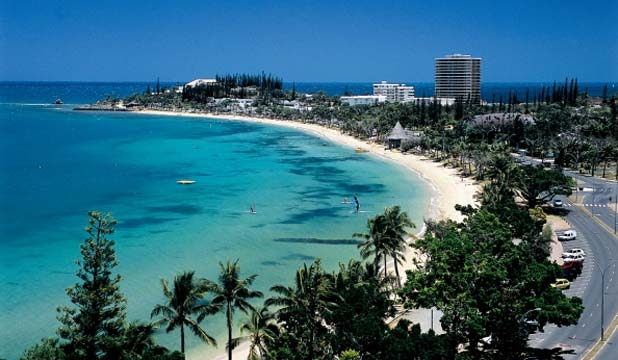 New Caledonia is the third largest island in the Pacific Region after Papua New Guinea and New Zealand. It is located in southern Melanesia, at a latitude of 19° - 23° south and at a longitude of 158° - 172° east. The island is situated about 1,500 km from Australia, 1,700 km from New Zealand, 5,000 km from Tahiti, 7,000 km from Japan, 10,000 km from the West Coast of the USA and 20,000 km from France. The mainland is where most people live, and which is the richest area of New Caledonia, is divided lengthwise by a range of mountains (Chaîne Centrale), the highest points of which are "Mount Panié" in the north (1,629 m) and "Mount Humboldt" in the south (1,618 m). Various species of trees can be found in these mountains. The East Coast, humid and open to the trade winds is a fertile, exotic land with lush tropical vegetation, green valleys, beautiful waterfalls, rivers, … and authentic Melanesian huts along the roads. The West Coast, a drier, temperate zone. There are fewer coconut trees but "niaouli" trees grow by the thousands and the endemic wildlife is rich. It is "cattle country," shaped by people who live at the pace of their cattle. There is an abundance of beautiful beaches too. Unlike its volcanic neighbors, New Caledonia is a fragment of an ancient continent which drifted away some 250 million years ago. Its flora and fauna evolved in isolation, and are now quite unique: 3500 recorded species of plants, three quarters of which occur only here; 4300 species of land animals, 1000 species of fish, 6500 species of marine invertebrates. Five hundred kilometers long, fifty kilometers wide, New Caledonia offers an endless variety of landscapes, from some of the best white sand beaches in the Pacific to spectacular mountain retreats. The Territory of New Caledonia consists of the Mainland, the Isle of Pines to the south of the Mainland, the Loyalty Islands to the east of the Mainland (Maré, Lifou, Tiga and Ouvéa), the Belep Archipelago in the north west and numerous islands and islets: Huon & Surprise, Chesterfield, Walpole, Beautemps-Beaupré, Astrolabe, and the Bellona reef, … a total surface of 19,000 sq km (16,372 sq km for the Mainland alone, which is 400 km long). If do you read the “brochures” & “leaflets” or you will visit the links on Internet, you will think, that is many tourist visitors to New Caledonia, the reality is different, in fact is not to many tourists visiting the place; – Few from France, the trip is too long & the air fare too expensive (by now), most of them came from Japan, New Zealand & Australia (Around “two” hours air trip) from the Airports of Auckland & Brisbane. 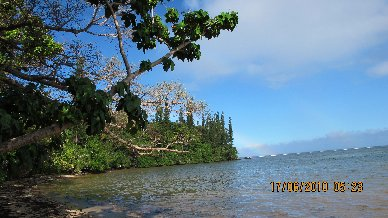 The majority of them, after arrival, escape the capital Nouméa or the rest of the big island (It is a pity) & go direct to the “Isle des Pins” (The Isle of Pines) a paradise island just 20 minutes, air trip from Nouméa, 2h15 by ferry or 1 hour by helicopter. Languages: French is the official language of New Caledonia but the mixed cultural heritage of the country includes over 23 different languages. Most of the businesses concerned with tourism have staff that speak English and often Japanese. The cosmopolitan capital of New Caledonia is a large peninsula named Nouméa. The city which is just over 150 years old, is both dynamic & peaceful; – Despite its 100,000 inhabitants and ongoing rapid expansion, Nouméa has lost nothing of his charm and has managed to develop many unique attractions. These included a downtown area which was designed in the 19th century, increasingly well-preserved colonial houses in the first residential areas to be built, the vestiges of the military which can be seen in several areas and the beautiful sheltered bays bathed in sunshine. Mosselle Bay shelters a large modern marina which is the departure point for boat excursions, including trips to “Amédé Lighthouse”, Ïlot Maître and many other islands paradises. Named in memory of the orphans of Empress Eugénie who were sent to New Caledonia to be brides for the first settlers. Orphelinat Bay has a special centenary monument in the form of an anchor, which was erected in 1953 to celebrate a century of French presence in New Caledonia. Generally a very sheltered bay, this is an extremely family-friendly bay with a lovely beach, cafés, restaurants & nightclubs. A mecca for tourists and home for a wide variety of water sports, Anse Vata is also a pleasant place to go for a walk under the coconut palms. Here you will find hotels, businesses, restaurants & nightclubs, as well as the Tourist Office. Just 10 minutes from downtown, Nouméa lays Kuendu Bay, which is popular for its white sand beach, the water side, the activities organized by the resort of the same name and the remains of Fort Tereka. The well-developed Pierre Vernier Promenade is a pleasant place for a wide variety of leisure activities and relaxation. Popular meeting point for walkers, runners & bike rides in the shade of the coconut palms. Designed by Renzo Piano in 1998, built on the Tina Peninsula, 10 minutes from downtown. Dedicated to Jean-Marie Tjibaou who died in 1989 while leading the fight for his country’s autonomy from the French government, is devoted to the cultural origins and search for identity of the native Kanak people of New Caledonia and the South Pacific. In the native tongue of Jean-Marie Tjibaou, pije language, it is also known as Ngan Jila - meaning cultural center. The Center itself is similar to that of the villages in which the Kanak tribes live; a series of huts (or case in French) which distinguish the different functions and hierarchies of the tribes (les tribus) and a central alley along which the huts are dispersed. The ‘Great Houses’ are linked by a long, gently curving enclosed walkway, reminiscent of the ceremonial alley of the traditional Kanak village. Coconut Square is a popular stomping ground for Noumea’s Locals. The beautiful green area is a long rectangle is formed by 4 squares: La Place Feillet, la place Courbet, la place de la Marne & Olry Square. 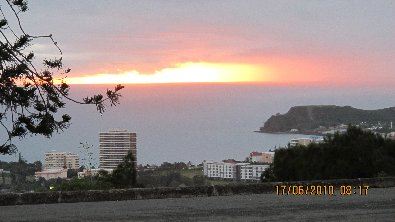 At the far southern end of the town, Mount Ouen Toro (129 m in altitude) is an exceptional site. From its summit you can see a magnificent panorama including the whole city of Nouméa. After a 45 minute crossing departing from Port Mosselle, you reach an idyllic island of coconut palms, bouraos & filaos bordered by a beautiful white sand beach. A 150 year-old, 56-meter lighthouse dating from the Second Empire stands proudly dominating the island. Living in Nouméa at the time. 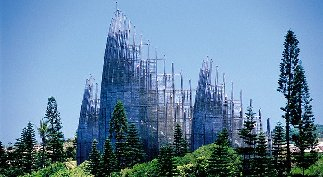 The cathedral made of local stone and wood, has two square towers which are 25 meters in height overlooking the city of Nouméa. Situated in the heart of the “Vallée-des-Colons” you will discover the jewel in the crown of colonial homes – a majestic family mansion that belonged to one of the great New Caledonian families. The Hagen Château was purchased by the Southern Province in 1998, and it is open to the public for temporary exhibitions only. Opened in 1905, it has more than 90,000 volumes including many important works on New Caledonia and the Pacific Islands. Located in Nouville, with the history of the prison including the Chapel, the Bakery Museum and cells remains, see Tourist Office. In New Caledonia, I think the most interesting thing to do is rent a car (“Better be a 4WD”) and take the road around the mainland. Roads are not easy (especially on the East Coast & the ones crossing the mainland)! Don’t be in a hurry and take your time, even if you think the distances between villages are short (in Km.). Your drive will take more time than in your country; (e.g. : 300 Km. can take a minimum of 4hour 30 minutes), so be alert & keep your gas tank always at half tank. Avoid driving by night and visiting Kanak villages without the permission of the village chef. My suggestion for an adventure trip is to depart from Nouméa by the North-West, take the RT1 in direction of Paita, Boulouparis, La Foa and Bourail. In Bourail , visit the rock by the sea, the “Bohomme de Bourail”, afterwards continuing North always on the RT1 to Poya, Pouembout, Koné et Voh. In Voh, visit the “Le Cœur de Voh” (a huge and natural heart shape located in the mangrove forest of Voh). From Voh, go back to Koné & take the RPN2 (Cross mainland road) to Tiwaka & Wagap on the East Coast and the RPN3 South to Poindimié. This new 3-Star resort is set in 2.7 hectares of woodland and right on the beach. It offers 3 types of accommodation, including ten ocean suites on the sea front, spacious and equipped with luxury amenities, twenty luxury, tropical bungalow-style rooms and twenty standard, garden-facing rooms. The Tiéti Tera Beach Resort is located on the biggest and most beautiful beach on the East Coast of New Caledonia, next to the village of Poindimié. The Tribes from the 3 Valleys and the People of the Sea as they are known are the guardians of an ancestral culture, a life rich in emotions and sensations, because, with the exception of the village of Poindimié, the only commercial area on the East Coast, the surrounding communities live according to nature, abiding by the teachings of the Elders. Of course this is the place to stay for two nights & visit the wild North East road to Hienghène & Pouébo. 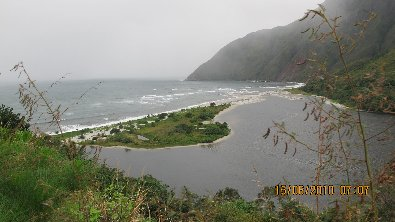 Next day take the RPN3 North to Hienghène to visit the wild scenic coast road and see the Hienghène Bay view point on to the rocks of “the hen” (la poule) and “the sphinx”. After the nice views of the Hienghène bay, continue North to the village of Ouaième, where the National Road RPN3 is cut by a river bordering the top mountain of New Caledonia; “The Mount Panié” (1628 m.), where the “local legend“ says that: no bridge will be built on the river to block the passage of the spirits from the Mount Panié to the sea. In consequence a “barge” – “Le Bac de la Ouaième”, was built, running 365 days a year, 24 hours a day, with free passage of course. 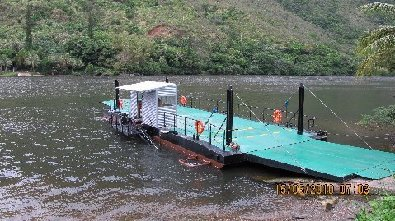 After crossing the river, the road is not in very good conditions but is interesting to continue North the RPN3 to Pouébo for around 60 Km. After this North East tour go back to Poindimié on the same day to take a rest, and on the next morning take again the RPN3 to the South to visit the villages of: Ponérihouen, Houaïlou, Kouaoua (Lives off the mines, its mineral conveyor is unique in the world as it is 12 Km. long an can also turn corners) & Canala, and do you have two possibilities to go back to Nouméa by the mainland cross-roads, the RT3 from Houaîlou to Bourail or the RP5 from Kohto, Farino et La Foa. It is advisable to avoid taking the crossroad RP4 from Thio to Boulouparis. And from La Foa or Boulouparis take the RT1 back to Nouméa. leaving Nouméa by the RP1 South to La Coulée and continue by the RP3 to Yaté, where you can visit “The Blue River Provincial Park”, “The Madeleine Waterfalls & botanical pathway”, “Goro Waterfall”, “Japanese mine ruins (Goro)” & “The Yaté dam”. 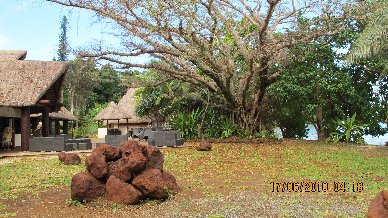 In Yaté you will find also “The Kanua Tera Ecolodge” a nice place to have lunch or stay for the night. 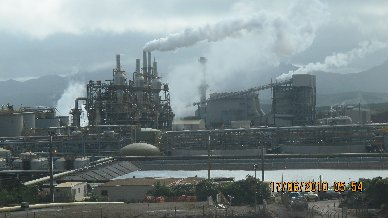 From Yaté go back to Nouméa by a secondary road via Goro and the second largest nickel processing plant in New Caledonia. 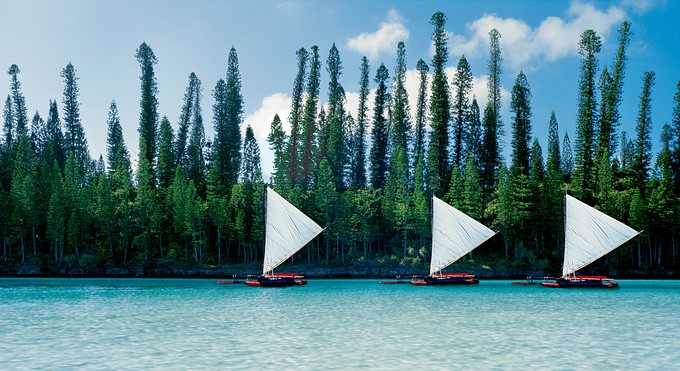 New Caledonia is an archipelago of fantasy islands scattered like beautiful gems in a sparkling sea and the Isle of Pines is the ‘Jewel of the Pacific’. Ile des Pins is just a short 20-minute flight, or 2.5 hour fast-cat trip from Nouméa with a landscape and culture that makes it totally unique. 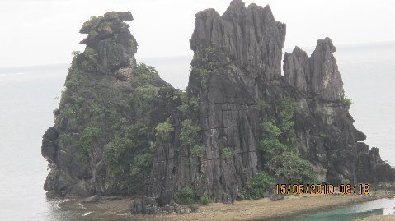 In fact, it was named by Captain Cook after he saw the majestic and distinctive columnar pine trees. 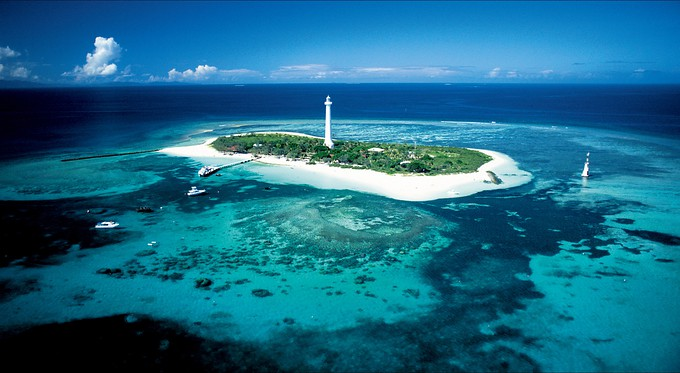 The island is around 18 km long and 14km wide, with 60km of coastline and surrounded by its own extensive reef system. It is world renowned for its unspoilt beauty and truly carefree lifestyle. Sparkling crystal clear water and glorious fine white sandy beaches under swaying palms can be found all over the island, including Oro Bay which has been described as one of the world’s best undiscovered beaches by the American travel journal ‘Islands’. The Isle of Pines is very accommodating, with a range of resorts and hotels to choose from to suit all budgets, and an excellent menu of restaurants to suit all tastes. There is also so much to see and do. Apart from the obvious selection of water-based activities, the island has many hidden treasures that should not be missed. A few days on the Isle of Pines are something you will never forget. This island paradise was discovered by Captain Cook on his epic voyage in 1774, and European influence began with the arrival of missionaries during the 1840s, as well as traders in search of precious sandalwood. In 1872, a penal colony was established on the Isle of Pines and the ruins of that colony are also worth a visit. Maré, Lifou and Ouvéa are a 40 minute flight from Nouméa, and there are several flights each day on Air Calédonie. The Betico motorized catamaran also runs services from Nouméa to Lifou, Maré and Ouvéa several times a week. Lifou - The island of many faces Originally known as Drehu, Lifou is the largest of the Loyalty Islands, being 1,150 km2 (larger than Martinique or Tahiti) and the most populated. Lifou was discovered by the French man Dumont d’Urville that was quickly followed by dozens of Catholic and Protestant missionaries. Ouvéa - The closest island to paradise This island is a dream destination with its magnificent clear blue sea, white sand beaches and its green parrots which are unique in the world. The west coast of the island boasts the largest beach in the Loyalty Islands: 25 km of uninterrupted white sand surrounded by an emerald lagoon. Maré - It speaks to your heart Maré Island or Nengoné, with its cliffs high above the waves below, seems to be the most secret of the Loyalty Islands. Divided into 8 districts, the island has a wild beauty: decidedly jagged basalt rocks (remains of the first volcanic activity), somber forests and long beach’s bordered with coconut palms. Its central plain is scattered with grottos and natural pools where fish and turtles swim. The newest hotel in Anse Vata, Nouméa, New Caledonia. It is a Best Western Premier Hotel located right in the middle of Anse Vata beach. All of the apartments have a panoramic view of the lagoon from their large balconies. Overlooking New Caledonia's lagoon and the lovely Anse Vata beach "La Promenade" Premier Best Western Hotel combines the comfort of large, modern apartments with the services and facilities of a 4 stars hotel. The full sized modern kitchens have the latest, high quality equipment. There is a laundry room, free WiFi or Lan Internet, TV, DVD, and daily maid service. You'll have everything you need to enjoy your accommodation, as well as your activities. Well, the truth is there is no Gourmet Corner in New Caledonia, but you cannot leave New Caledonia without tasting a “bougna”, the traditional Melanesian dish and it’s definitely worth a try. Bougna is a combination of chicken, lobster or fish with yams, bananas, sweet potatoes and coconut milk wrapped in banana leaves. The food is then steamed in an earth oven heated by hot stones. Bougna is served with a variety of other dishes, including seafood, coconut milk and tropical fruit. Difficult to find on the real way, but you can find it in some restaurants cooked in a casserole. Another interesting specialty dish is Civet de Rousette or bat stew, a favorite with the locals. Other delicacies include small mangrove oysters (huitres de paletuviers) and a pastry filled with seafood and cream sauce (vol-au-vent des fruits de mer). Noumea's most famous gourmet French restaurant, located on Anse Vata near the Aquarium – Rocher à la voile. 7:00 PM – 10:00 PM on Saturday. Closed Sunday. Nightlife Anse Vata and Baie des Citrons share Nouméa's favourite night-spots. You will find bars and restaurants on the hotel grounds and many more plus discos and two world class casinos within a short walk down the sea-side promenade. Up to 2010 the only flag in official use in New Caledonia, an overseas territory of France, was the French tricolor. However, with the official adoption of the Kanak flag alongside the French tricolor in July 2010, New Caledonia has become one of the few countries or territories in the world with two official national flags. The Melanesian or Kanak culture, is an ancestral culture of mainly oral tradition. All of the belief systems and legends are passed on by the “elders” who, in doing so, perpetuate these important traditions and customs. The custom and the rules of politeness are still alive and well in the Bush and the islands, and necessitate some propriety. When visiting a tribe, you are expected to “faire la coutume”, which means offer the chief a small gift as a sign of respect – a sarong, cigarettes or a bank note. Some places can only be visited once you have requested permission from their ritual guardian. Any paths which are barred, even symbolically, should not be used as they remain the tribe’s property and lead to sacred places.